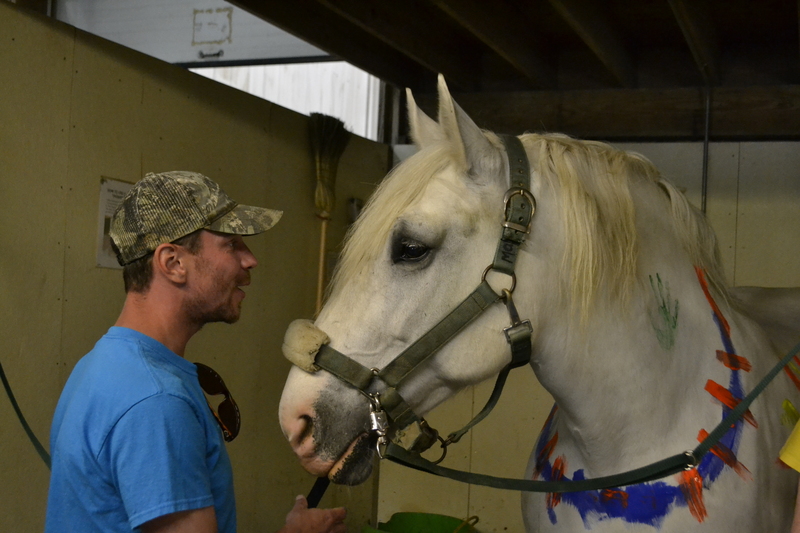 February 2, 2016 — Nearly 200 members of the military and their families are coming to Fieldstone Farm each year to work with horses. 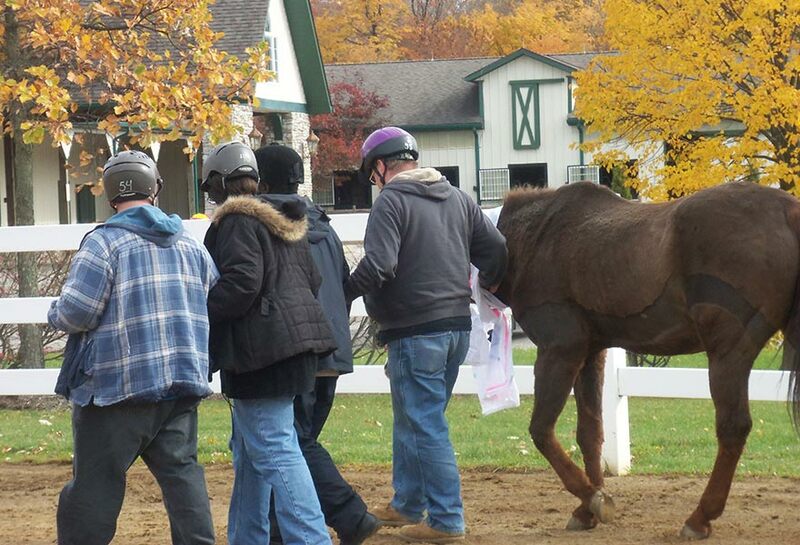 While riding, grooming horses, interacting with them, or getting behind horse-drawn carriages, members of the military are learning ways to overcome the struggles of everyday civilian life and heal from the emotional and physical scars of military service. Participation in our program has tripled in the last 3 years. To learn more about our program and how it can help you or someone you care about, click here for our brochur e, or call Melissa at 440-708-0013, ext. 124. Our collaborations with the Veterans Administration, Volunteers of America, Wounded Warriors and Ohio Operation Military Kids help us to develop relevant and meaningful programs for the military and their families. For the story of one of our veterans, please click here and for our veterans brochure, please click here.